I never went to camp as a kid. In fact, I don't think I ever really wanted to. I wasn't an outdoorsy child; I liked arts and crafts, dancing and using my imagination. Sports, building campfires, and even roasting s'mores (although I now LOVE them) weren't my cup of tea. And the thought of overnight camp did NOT appeal to me. That's not to say that I don't value the overnight camp experience. I think it teaches a lot of skills, team building and problem solving. 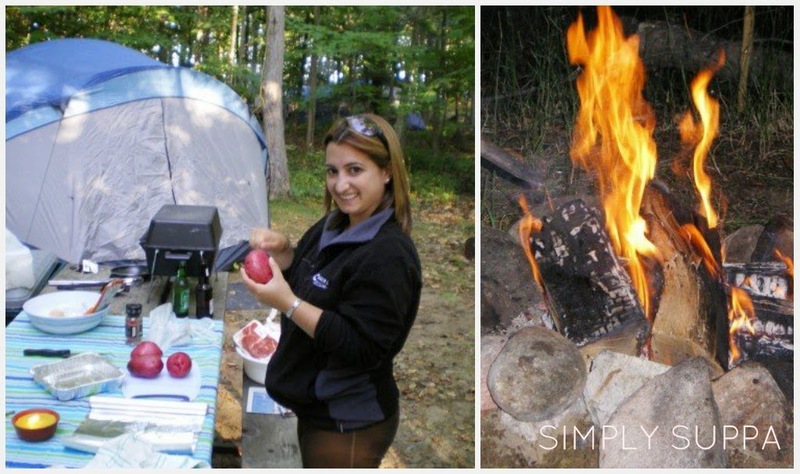 I actually went camping -- like, in a tent -- for the first time when I was in my 20s. We had a LOT of fun and we will likely go again, when the kids are older. Ironically, I was a camp counsellor for 2 whole summers while I was in my early teens. These were day camps run through the City, though. I learned great leadership skills, some of which I still use today. And then there was dance camp, which really wasn't a "camp" per se, but a full week of dancing. Now THAT was my specialty. Kids are really lucky nowadays; there are so many specialty camps and programs that are run all summer long. If overnight camp isn't your thing, that's ok. There are science camps, dance camps, gymnastics camps, sports camps. The whole point is to get out, meet new people, have fun, and create memories. Glama Gal Tween Spa has an awesome camp program lined up this year. If I was a tween, I'd be ALL.OVER.IT. The "Gals" behind Glama Gals -- Laura and Josie Cannone -- really know how to take an idea like camp and make it work! Glama Gals is an award-winning service that that teaches girls to be confident, positive and unique. Their camp is just that. Girls aged 6 and up are invited to pack their pink passports for Miss. 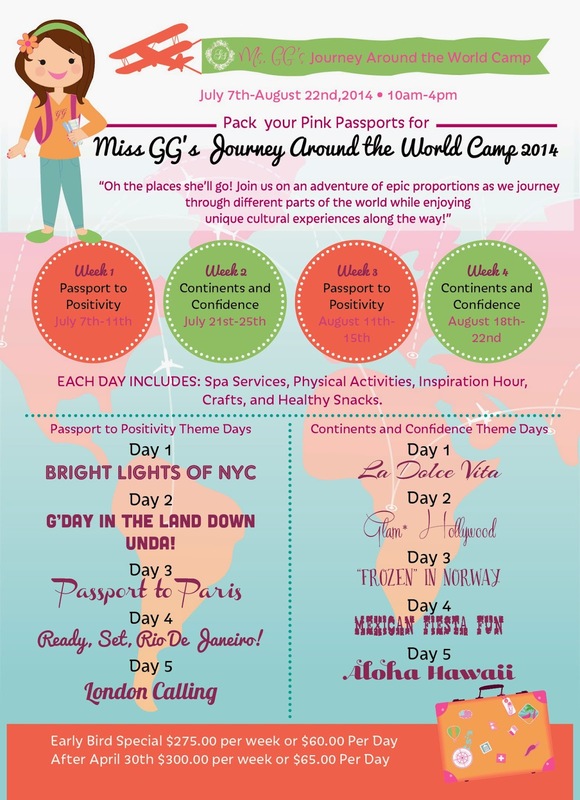 GG's Journey Around the World! The two-week day-camp program (you can enrol in 1 or 2 weeks, or daily) is themed; Week 1 is the Passport to Positivity, while Week 2 is Continents and Confidence. Each themed day includes spa services, physical activities, inspiration hour, crafts and healthy snacks. The day runs from 10 a.m. to 4 p.m. and is offered at all Glama Gal Locations: Vaughan, Ajax, Oakville, Newmarket, Toronto and Markham. Full details of each day are available online. To register for the Journey Around the World, visit this link. And if you say you booked because you read about it on Simply Suppa, you will get a FREE Glama Gal T-Shirt! How awesome is that!? Plus, invite a friend! Tweens who refer a friend will receive a free mini mani and cucumber mist facial. Disclosure: I am a Glama Gal Tween Spa Glambassador and receive special perks as part of my affiliation. All the opinions expressed on my blog are my own.